I ate at Chick-fil-A for the first time last August! I liked it. The packaging for the Spicy Chicken Sandwich. 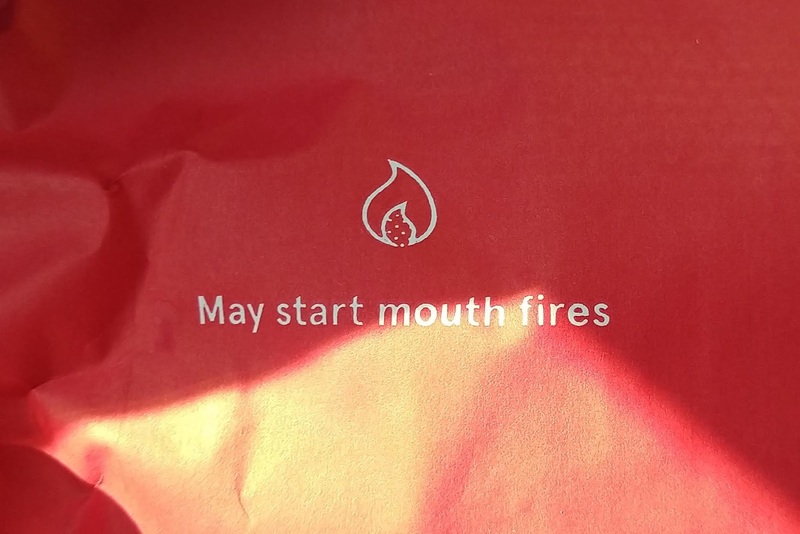 It reads, "May start mouth fires." Highly unlikely. Though I had the Spicy Chicken Sandwich and it was hardly spicy. Want more of my thoughts and/or comments on the food at Chick-fil-A?